"Everybody wants to make an impression, some mark upon the world. Then you think, you've made a mark on the world if you just get through it, and a few people remember your name. Then you've left a mark. You don't have to bend the whole world. Of course, if you shoot your arrow and it goes real high, then hooray for you." Dorian Corey. A selection of published and forthcoming essays. ISBN/ISSN directs you to the publisher. Links [pdf] are generally to my penultimate draft. Please cite only the published version. 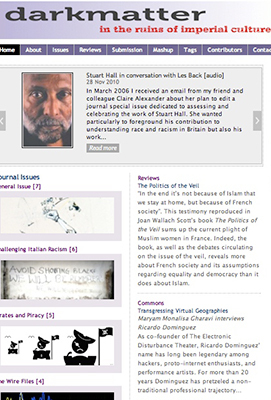 If you do not have access to a particular article, email me and I will make it available to you. This paper focuses on the tension between the defence of the future of race and the desire for a future emancipated of all racial referent. It asks: how is one to negotiate this tension between on the one hand, the call for an ahistorical universality that would abolish all notions of race and the need to respect the violent history of races and the narratives and discourses that have been produced and continue to be produced to this day? 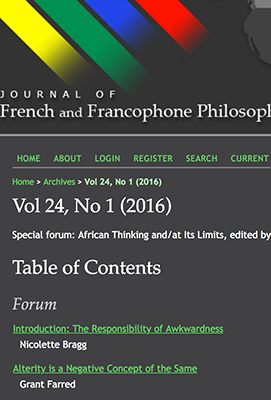 In order to address this thorny issue, this paper explores the disagreement between Emmanuel Eze and Kwasi Wiredu on the tension between universality and racial history. It argues that the tension cannot be resolved or negotiated without a radical change—provoked by the work of Quentin Meillassoux—in the interpretation of universality. This radical change is brought on by a reformulation of the principle of non-contradiction, the only principle that can potentially sustain in harmony and therefore without tension both universality and race. 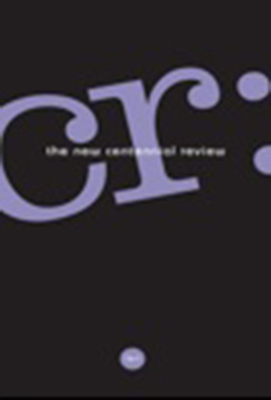 “Marx 1845 or the Fateful Rejection of Anschauung,” in CR: The New Centennial Review, vol. 18, no. 3 (2018): 73-96. One of Karl Marx’s strongest condemnation is that of Ludwig Feuerbach’s intuitive-contemplative materialism in his Theses of 1845. This condemnation famously leads him to an understanding of human activity as purely objective and of “revolution” as praxis, that is, as a “practical-critical” activity exclusively based on reason and reason alone. The question that is rarely asked about this condemnation is this: what is lost in this abandonment of the intuitive-contemplative on the way to historical materialism? The aim behind this question is purely speculative. It does not intend to provide yet again a historical reading of this famous turning point in Marx’s move away from Feuerbach. 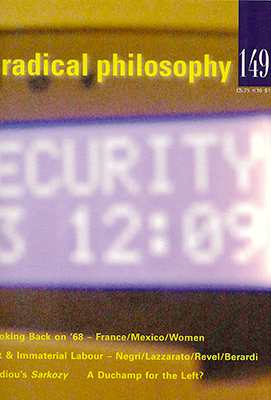 It simply intends to see whether something could be gained from revisiting Feuerbach’s understanding of the intuitive-contemplative and whether this could allow us to move beyond the 21st Century deadlock of Marx’s “rational praxis.” In terms of reading, the essay will concentrate not only on Marx’s Theses and the “works of the break,” but also on key aspects of Feuerbach’s understanding of intuition-contemplation, as well as contemporary readings of this major turning point in history, especially those in the French Marxist tradition such as Bloch, Henry, Althusser, Macherey, and of course, Balibar. “The Birth of Language or the Necessity of Rule,” in Special Issue ed. by Pierre-Philippe Fraiture, in The Bulletin of SOAS, no. 3 (2018): 1-12. As is well known, the Biblical Sixth Commandment, “Thou Shall Not Kill,” is intimately linked to the First Commandment, “I am the Lord.” By linking the two at the top of Moses’s two-column table, language is given priority: the name of God can be uttered only when the possibility of death has been set aside. In this way, the linking of these two commandments marks not only the birth of language, but also, more importantly, the start of ethics. As such, Commandments One and Six form the basis of practically all western ethics from Kant’s categorical imperative (the unconditional maxim needs a First Word to enter into force) to Lyotard’s language games (for which all utterances are charged with the moral imperative to respond), for example. But how on earth does this famous linguistic and ethical structure fare in a context whereby the written text is not given priority, in a situation where prohibitions are inherited orally? This paper will attempt to expose the thorny issue of the role of the Sixth Commandment in the context of Rwanda. This will imply neither the exposition of the history of the arrival of the Bible in Rwanda nor the way it helped to consolidate the colonial regime. This paper will also not examine the neglect of the prohibition against murder during the genocide of 1994. Instead, the essay will examine the linguistic and cultural problems one faces when determining the birth of ethics in two radically different contexts. For the past eighteen years, I have taught the practice, history, theory, and ethics of curating. Throughout this time, one of the most recurrent themes has been the impossibility of ascribing a limit to curating. Where does it end and where does it begin? In order to teach curating, that is, in order to provide some kinds of limits to it, I had to borrow from many disciplines: art, philosophy, anthropology, psychology, history, political science, cultural studies, etc. In each case, I looked for what seemed pertinent to the task of framing curating within somewhat permeable boundaries. Now that the activity of curating extends to a wide range of practices not always related to either the visual or culture, how am I to continue this teaching? 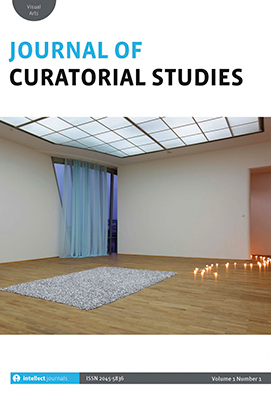 This essay provides both a personal trajectory and an analysis of this edging of disciplines at stake in curatorial studies. Africa. Who are you? I deliberately don’t say here, “What are you?” As we know, the interrogative pronoun “what” is an attempt to grab the essence of something. As Heidegger says: “whatness [Wassein], comprises what one commonly calls… the idea or mental representation by means of which we propose to… grasp what a thing is.” As such, questions starting with the interrogative pronoun “what” are eminently violent because they reduce the object of inquiry to a thing that can be held in one’s hand; that can make sense as a totality; that can be conceptualized with one idea. The history of philosophy— from Plato to Augustine, from Descartes to Lenin, all the way to Kwame Nkrumah, for example—is littered with the question “What…?”; with these violent attempts at grabbing the essence of something. Africa’s history is also littered with these attempts at reducing a continent to an essence or concept. These attempts are absurdly grandiose (pinning down “the idea” of Africa, for example) and ridiculously small (analyzing the minutiae of life in a village, for example). In all cases, they try to envision Africa as an object to be possessed by any means and I know that we can’t carry on doing that. 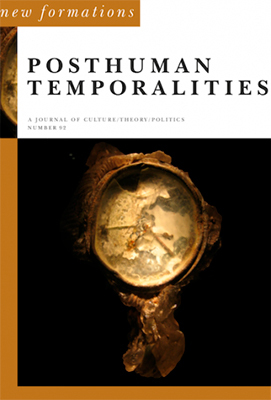 “Time Unshackled,” in special issue “Posthuman Temporalities,” ed. 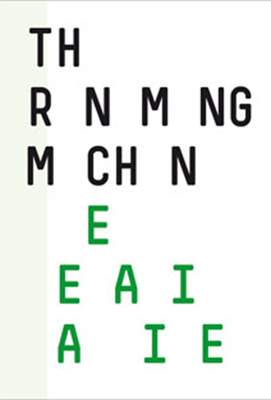 by Manuela Rossini and Michael Toggweiler, in New Formations 92 (Autumn 2017). One of the biggest truisms of our age is the fact that we never have enough time to accomplish all the things we set out to do or that are imposed onto us. Our lives are not only ruled by clocks, they are always filled with looming deadlines, un-ticked to-do lists, ever-fuller inboxes… “I just won’t have enough time,” we lament again and again. We are handcuffed to time. But how can we make sense of these shackles? In this essay, this truism is analyzed through the emblematic experience of the treadmill (this electric exercise machine made up of a continuous belt that allows one to run in place). Instead of suggesting a different or slow pace, instead of attempting to stop or step off the treadmill, the aim of this exploration is to think a new stance that allows us to diminish the allure of the treadmill and in doing so, unshackle ourselves from all interpretations of time as calculation. To achieve this bold aim, this essay takes its source of inspiration from the work of the late Heidegger and of a selection of complementary texts on speed, time, and the politics of temporality. The philosopher Bourahima Ouattara claims that Africans have a unique feature that can help them fight against the West’s economic, cultural and intellectual hegemony and therefore against globalization. This feature is that of ‘being’ outside of all conceptuality. Being outside (or being-third), Sub-Saharan Africans are therefore able to expose the weakness of the West’s mighty power: the stubborn repetition of its founding principle: the concept. Instead of just emulating concepts from former colonies or avidly promoted by global capitalism, Sub-Saharan Africa should, according to him, unhinge itself from the concept in order to undermine the concept-driven modernity that marks our world’s destiny. Can Bourahima Ouattara’s bold claim really work? Should we all—i.e. not just Africans—listen to him? 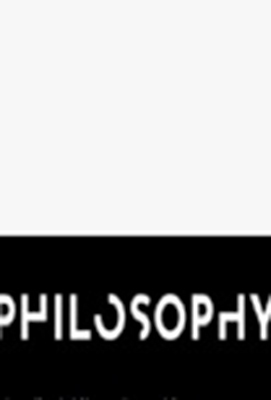 This essay tries not only to make sense, but also to test this ambitious attempt to undermine the arrogance and imperialism of the concept, this cornerstone of western philosophy since Plato. As is well known, Jean-Luc Nancy’s interpretation of the world is not intended to provide yet another “picture” of the world, but to actually embody, in writing, its making, its creation; that is, in one Heideggerian expression: to expose out how the world “worlds.” But how is one to make sense of the way the world “worlds”? Could the “worlding” of the world be this common limit that Nancy exposes as the sense of the world? If yes, how is one then to make sense of this liminal operation that is curiously at once ontological and ontical? Finally, but most importantly, once we make sense of this, how can we affect it politically so that it escapes its very own annihilation? These are the questions that are addressed in this essay. When one is shamed for doing or not doing something, the sense of self crumbles, not just because it is suddenly objectified, but because it also highlights, at an even more basic state, the fact that this self is occupying space and time. We want to crawl under the carpet, so to speak. Shaming thus points to the inescapable reality that, however much one wishes otherwise, the self takes up a portion of space and time. Shame is therefore always the discovery of an occupancy of space and time that is utterly unjustified. It shows something that no physiology, biology, anthropology, psychology, or any other ontic science could ever deal with: the fact that “underneath” the supposedly masterful subject, one occupies space and time without any reason or rationale, not even a valid argument. This essay is an exploration of this basic trait revealed by shame. 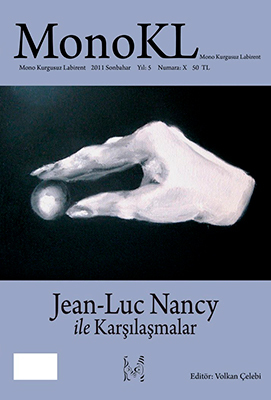 This essay explores Jean-Luc Nancy’s interpretation of Immanuel Kant’s Categorical Imperative. Nancy’s essay, “The Kategorien of Excess,” (Paris: Flammarion, 1983) performs an unusual imperative; it is a demand for a response, a demand for a responsible response to what Kant and Nancy are saying. In other words, his text operates or performs the imperative and as such calls for a reflection on how we respond to this imperative. What do we do with Nancy’s Kantian imperative? How do we respond to it? 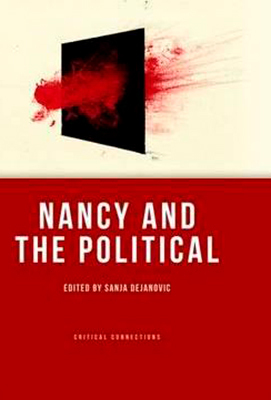 This essay is an attempt to retrace and evaluate the many points in Nancy’s text where an imperative is not just explained, but is expressed categorically for us, his readers. 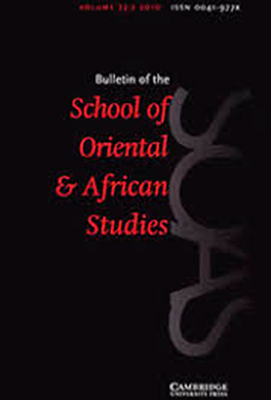 In 2001, the German Africanist Kai Kresse summarized the African philosopher Valentin Mudimbe’s work in the following way: “Mudimbe is asking us to be sensitive firstly to ourselves and to our own place in society and in the academy, and also be sensitive to the place and the voices of those whose histories and cultures we study. It is only by mediating the conflicting and contradictory pulls of these two elements that we can begin to invent a discursive space that can be true to both.” What does it mean to mediate such a conflicting and contradictory pull? And if one did as Mudimbe is asking us to do, what would then be the consequences? What “other” would come out of such mediation and invention? How is one to mourn nameless genocide victims? The essay explores not the impossibility of grieving the dead, but the order of priority in grief: first a proper name, then grief. There is no mourning without first a proper name. 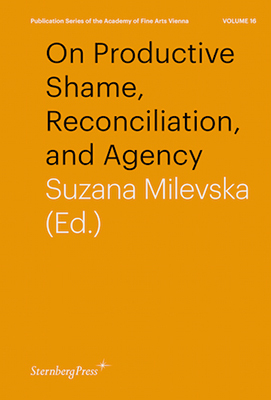 The question explored in this essay is therefore this: “how is one to mourn in a situation where the usual distinction between the name and the bearer of the name has been violently eradicated with machetes?” This essay was originally presented as a paper at the conference The Renaming Machine, organized by Suzanna Milevska in Vienna, 2009. 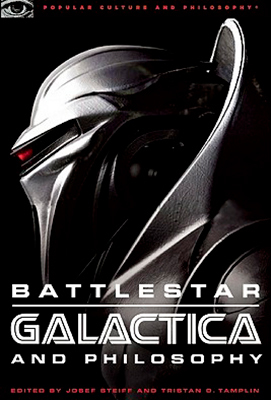 This essay is an attempt to articulate the temporal conundrum that unfolds in the first episode of season one of the re-imagined cult TV series Battlestar Galactica. In what new post-apocalyptic do the last remaining survivors of the human race find themselves in after the Cylon holocaust? Using Derrida’s analysis of time and temporality, this essays explores the possibility of thinking a different post-temporal dimension. 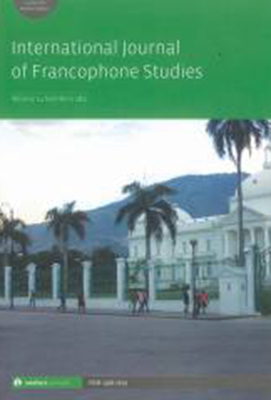 This essay is a review of Joanna Hodge’s book Derrida on Time published by Routledge in 2007. 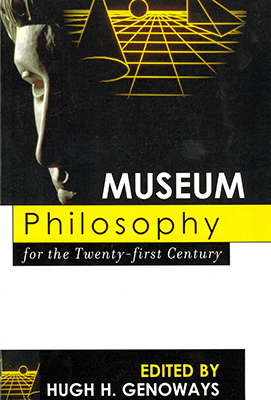 What underlying philosophy should museums pursue in the first half of the 21st century? This question calls for a prediction, the revelation of a secret unbeknown to museums. It calls for a prescriptive utterance that will determine or shape their future. “This is the underlying philosophy that museums should pursue in the future.” And the future is short. This question refers only to the first half of the 21st century, a mere forty-six years from 2004. 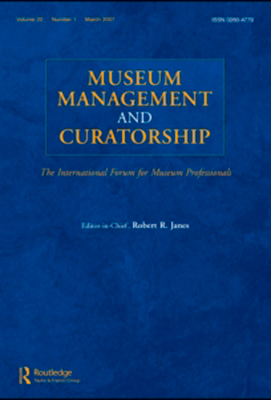 This essay takes up the challenge of thinking a philosophy for the future of museums, asking further questions such as: From which horizon of expectation does this question arise? How and from where does one make a statement about the future of museums? 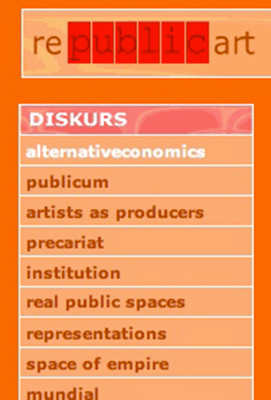 Who is entitled to prophesize, predict, or project what will happen to museums in the future? 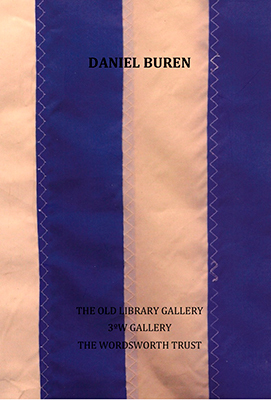 This essay was published on the occasion of the ninth re-staging since 1975 of Daniel Buren’s iconic piece, Voile / Toile – Toile / Voile (Sail / Canvas – Canvas / Sail) on Lake Grasmere, in the Lake District, in the county of Cumbria, UK. The race was curated by Daniel Sturgis and organised by the Wordsworth Museum in 2005. 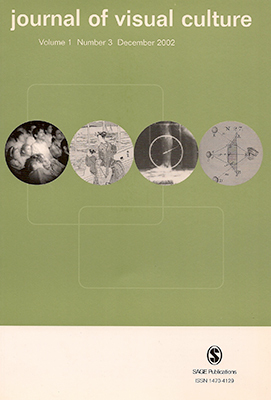 The essay attempts to provide a semiological interpretation of Buren’s famous piece. Throughout the twentieth century, numerous philosophers of history and time have questioned the most ingrained of all our beliefs: does time progress in a linear way and is the future simply the next chapter in this narrative? This essay proposes to rethink the future of museums outside of this narrative structure, one for which the future is reduced to words such as projection, prediction and prophecy. It asks: In an age of globalisation, can the museum still think of the future as the outcome of a chronological narrative? This essay takes one recent attempt (by the philosopher Catherine Malabou) to destabilise—again—this belief, and proposes to reveal the impact that this attempt could have on the museum’s understanding of time and its place within it. This essay is a revised version of a paper given at the conference Strategies of (In)visibility, Camden Arts Centre, London, 2005. The topic of this conference was originally formulated by Anna Harding. It was subsequently re-conceptualized by Celia Jameson and myself. 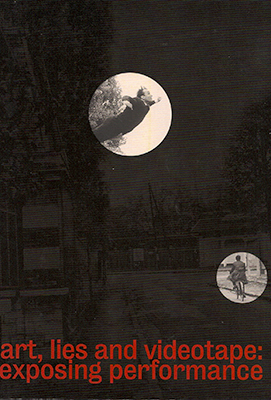 The essay attempts to formulate a post-romantic vision of political activism. This paper was presented at a conference with the same name organised by the Showroom Gallery in London in 2003. 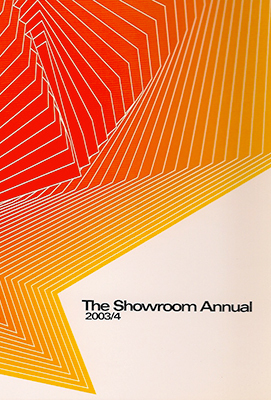 The proceedings of the conferences, including papers by Chantal Mouffe and Michael Hirsch were subsequently published in The Showroom Annual in 2004. This paper explores art’s potential in affecting political changes. This essay was published on the occasion of the exhibition Art, Lies & Videotape curated by Adrian George for Tate Liverpool, 2003. The essay explores the lived accounts and fictional reports of art performances, whether they should be believed, relied on, or exploited. This essay is a review of the exhibition Documenta XI curated by Okwui Enwezor, Kassel, Germany, 2001. The essay questions the curator’s attempt to provide a comprehensive account of the global contemporary art scene between 1997 and 2001.